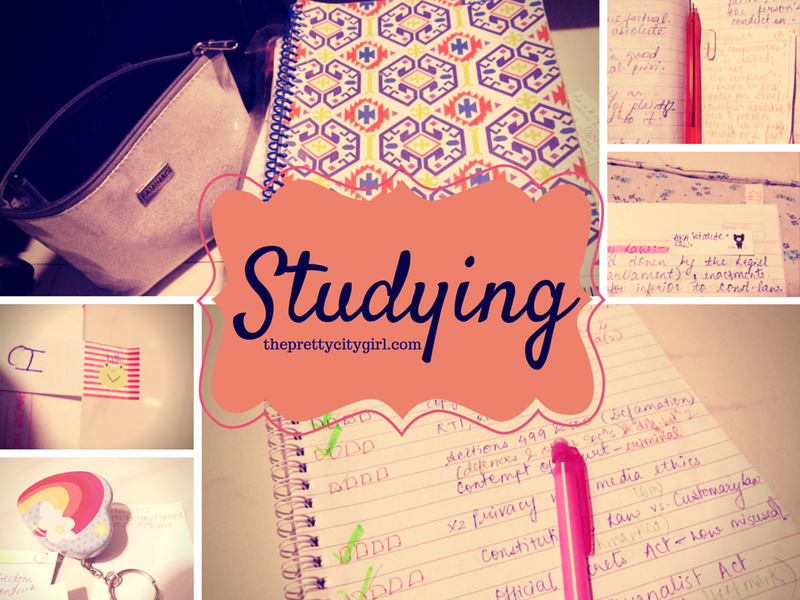 The 'Studying' post is getting featured on TPCG after so many days, rather, after a year. I don't know why, but I loved all the supplies that I was using yesterday night to study. My finals are starting from tomorrow, and I started studying the paper I have tomorrow yesterday night at 10:00. I studied nicely from 10:00 to 2:00. I guess the only reason why I was motivated till 2:00 was my stationary! I loved the supplies. Last semester, I wasn't really good at using these cute supplies. This semester, I'm back with them, and so I am motivated automatically. My question bank, with a pink pen-pencil. The little guy, along with an index card that has all the important years of the subject. A look inside my self-notes. An orange coloured pen really brightening up my mood. Black bear saying "hello"; and there's a pink stick-note peeping from behind. Finally, packed the books at 2:00 last night.